Scorching hot summer afternoon, game is the best way to kill time! 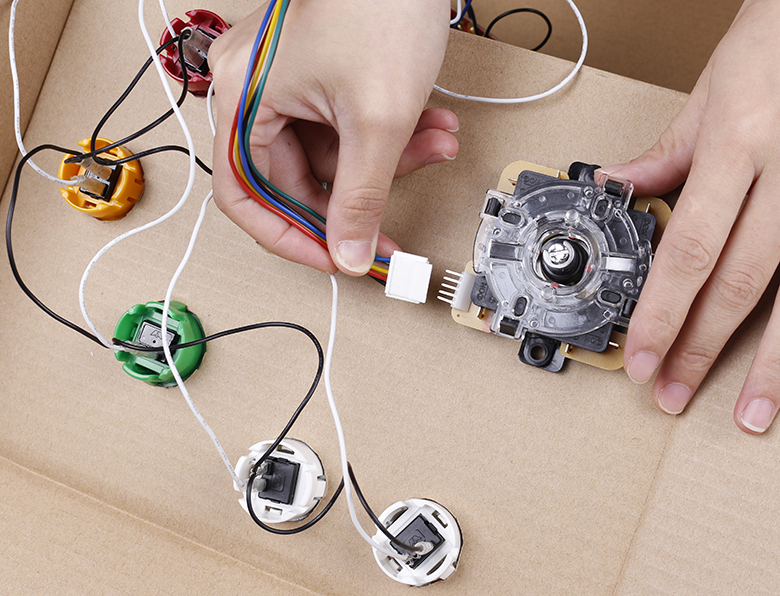 Try DIY a game box yourself! 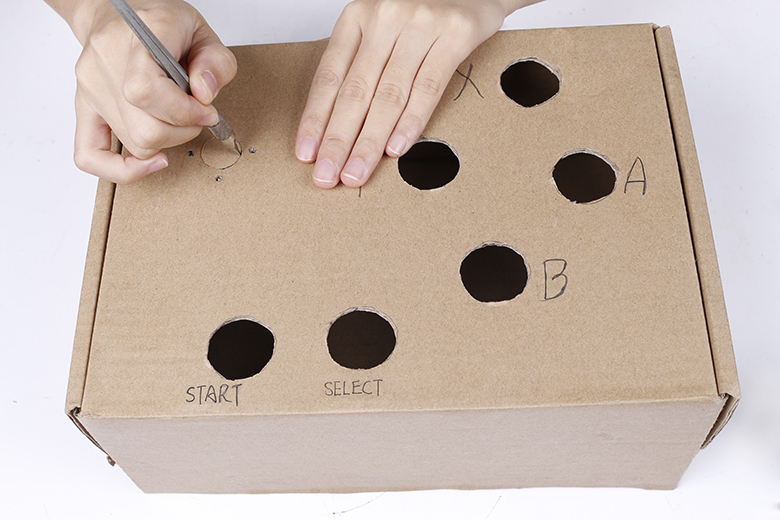 Cut holes on the cardboard box to fix the arcade buttons and the joystick, and name the buttons with X, Y, A, B, START, and SELECT. 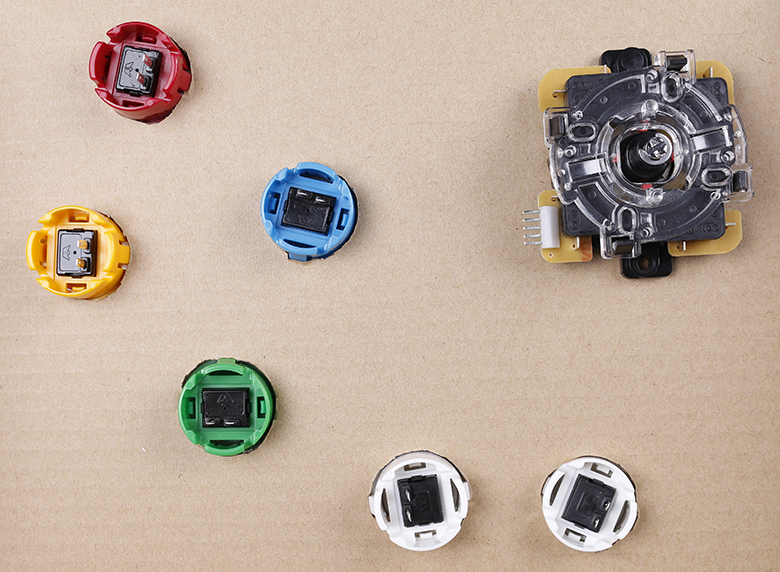 Mount the six buttons and the joystick as shown. Connect the six buttons’ another pin to the Multi-Control separately. Unzip the download package. 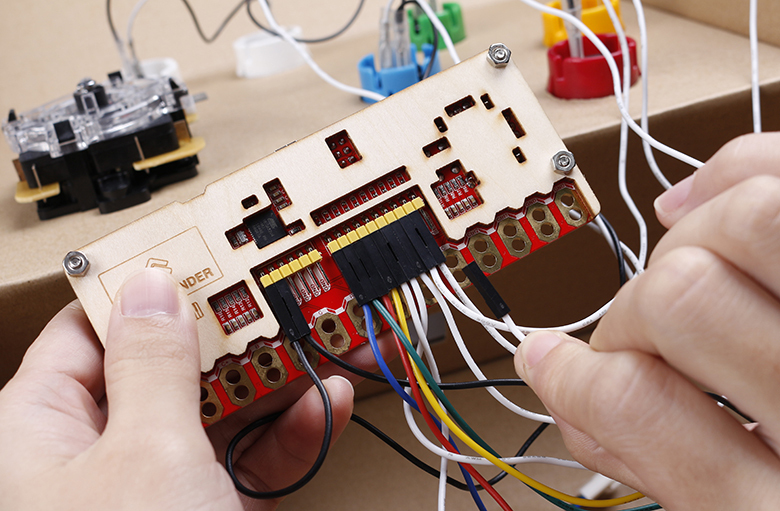 Open the multi-control-keyboard.ino code, then select the board type (Leonardo) and port, and upload the code. 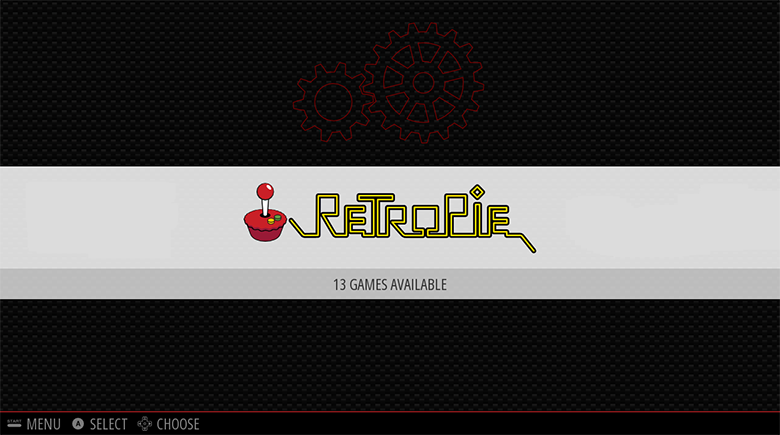 Enter the website of RetroPie to download the image of the RetroPie. Burn the image into the SD card by a burning tool like the win32DiskImager. Plug the SD card to the Raspberry Pi, and connect it to the display with a HDMI cable, and power them separately. 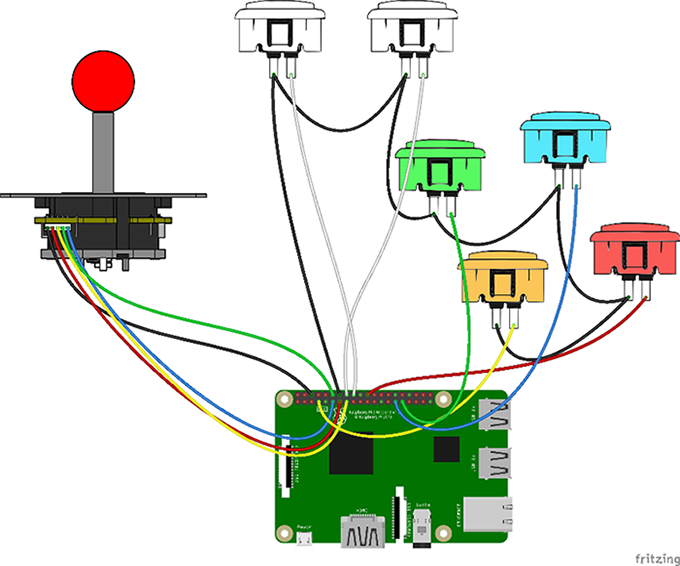 Connect the Multi-Control to the Raspberry Pi with Mini USB cable. After rebooting, you can see such a page on the display. 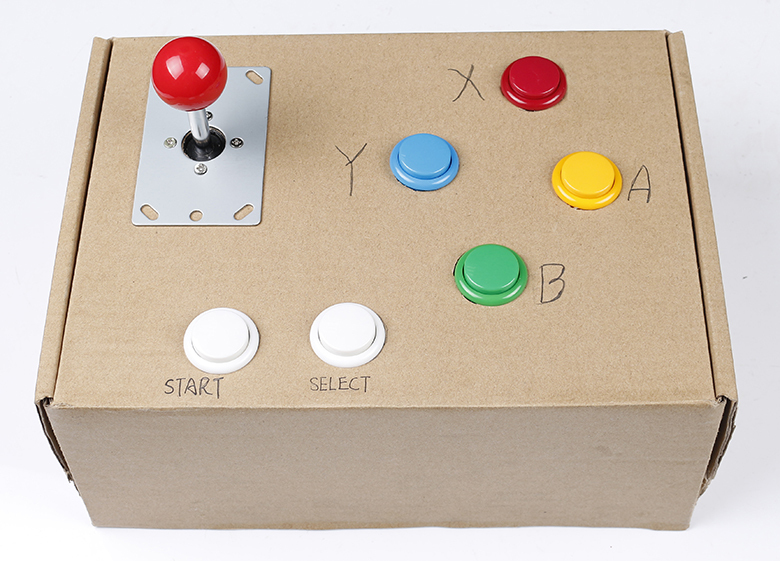 There will be a prompt for you to set the controller. Since the driver of the Retro Game Box has not been installed yet, you need to configure your USB keyboard first. 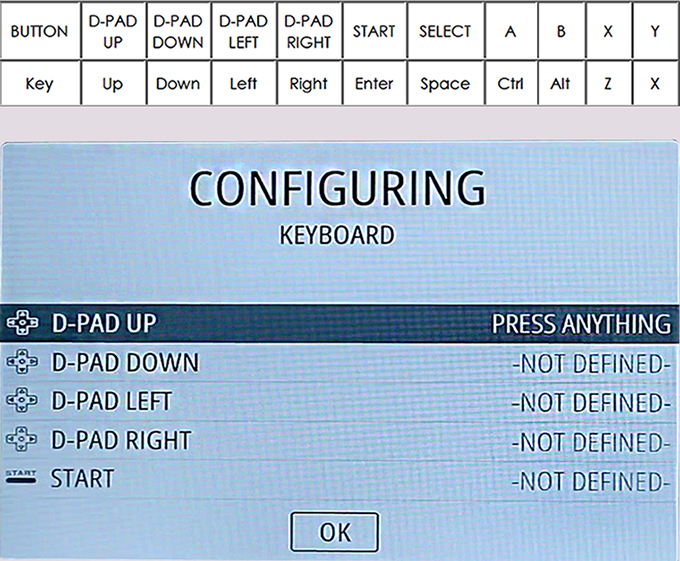 Press and hold any key to let the system confirm that you’re using the keyboard as the controller. Set the key mapping in the menu popped up then. Please refer to the Key row below. You can set the extra buttons randomly by yourself. Due to the copyright issue, we cannot offer other detailed ROMS and BIOS of the simulator. 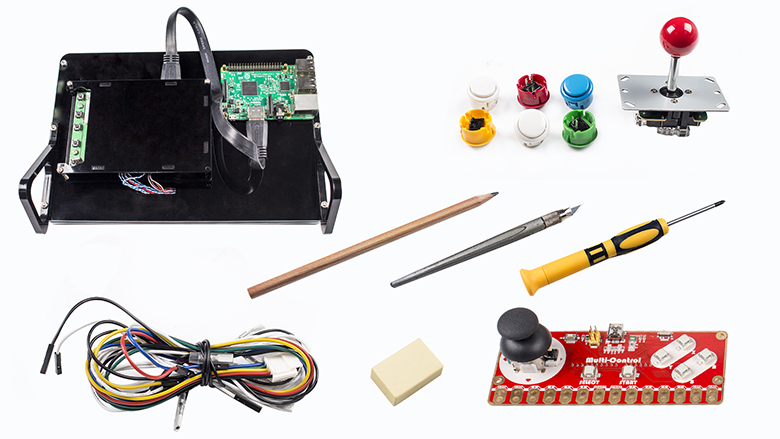 There may be tons of detailed tutorials in the Github wiki page of the RetroPie. You can also look for the ROMs you want in retro game forums. After installing the ROM and BIOS, just go to enjoy the fun of games! Now, all completed! It’s game time! 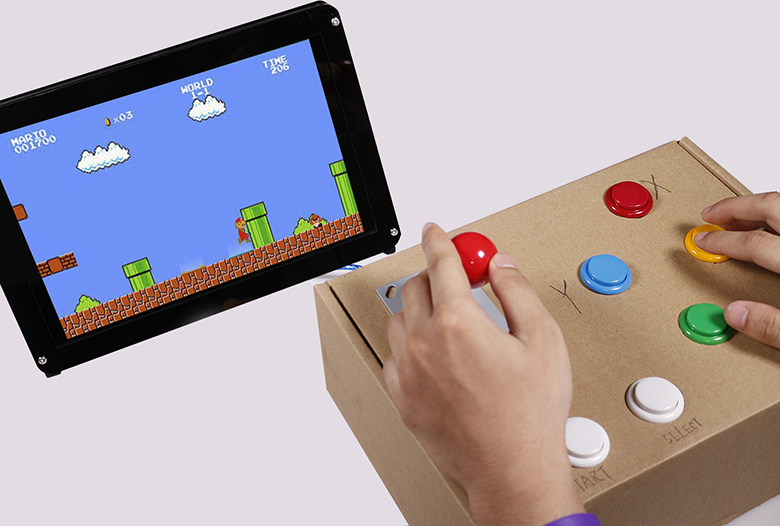 Or you can just connect the buttons to the Raspberry Pi directly. 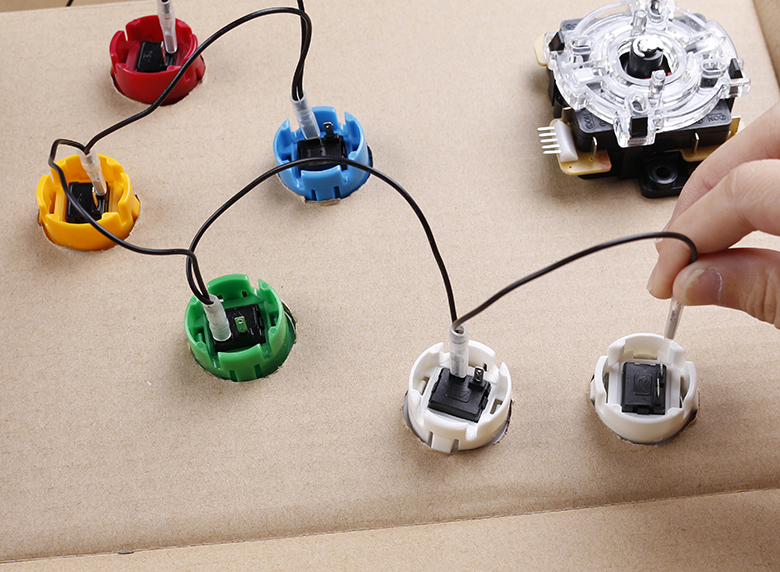 Follow the wiring as shown.